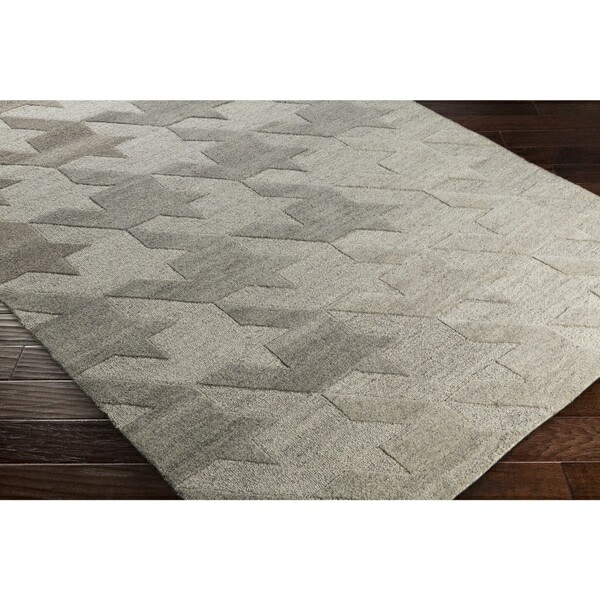 Hand-Tufted Angselle Wool Area Rug - 5' x 7'6"
A perfect addition to any home, the Angselle collection features neutral colors that meld easily into many transitional decor schemes. Hand tufted with 100-percent wool by artisans in India, this rug is of high-calibur and will become a timeless piece in your decor. Professionally or spot clean only. Dimensions 90.0 In. X 60.0 In. X 0.64 In. Handmade M.A.Trading Khema5 Grey (India) - 5'6" x 7'10"